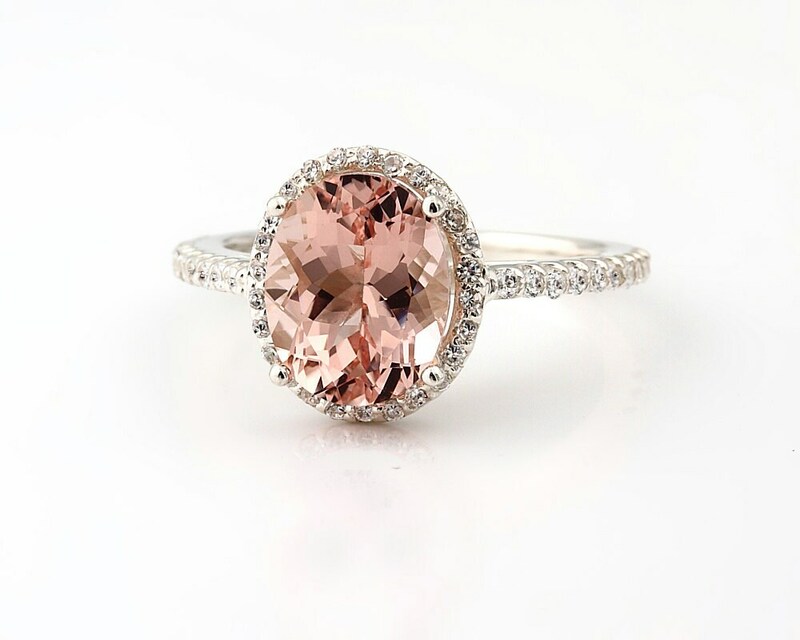 I ordered this ring after shopping at jewelry stores and a lot of research about morganites.... 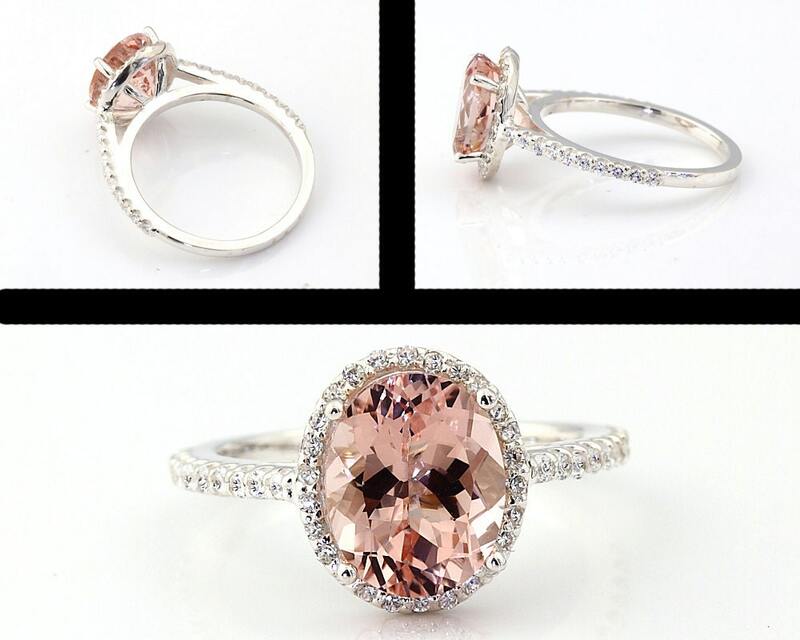 I was skeptical about the authenticity of the gemstone and diamonds etc until I had a conversation with Gene prior to ordering. 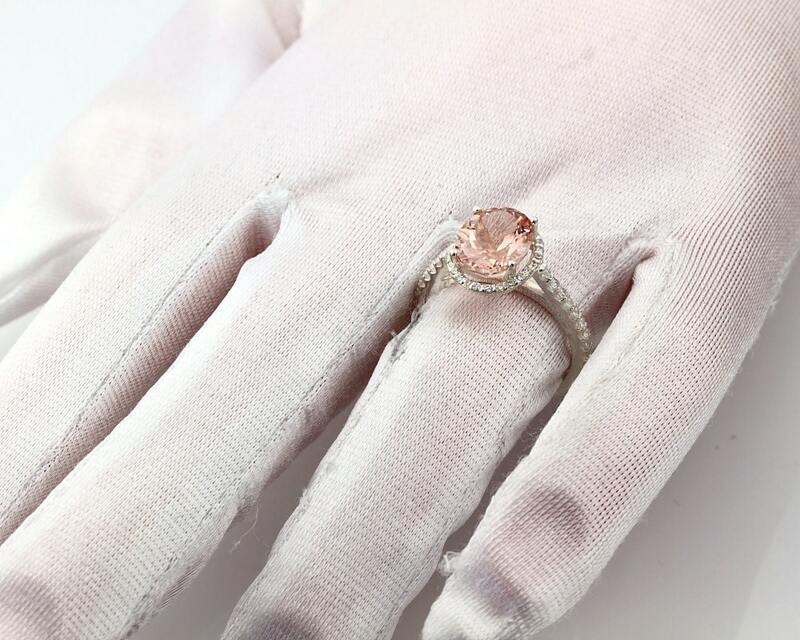 Not only did he put me at ease about the process and the pricing, he also allowed me to pick the center stone as I was specific about the shade of morganite. Ge expoditted the process and shipping and I received this ring yesterday. It is BEAUTIFUL! I took it to a local jeweler today and had it checked out. They were also impressed. Thank you for a beautiful ring! 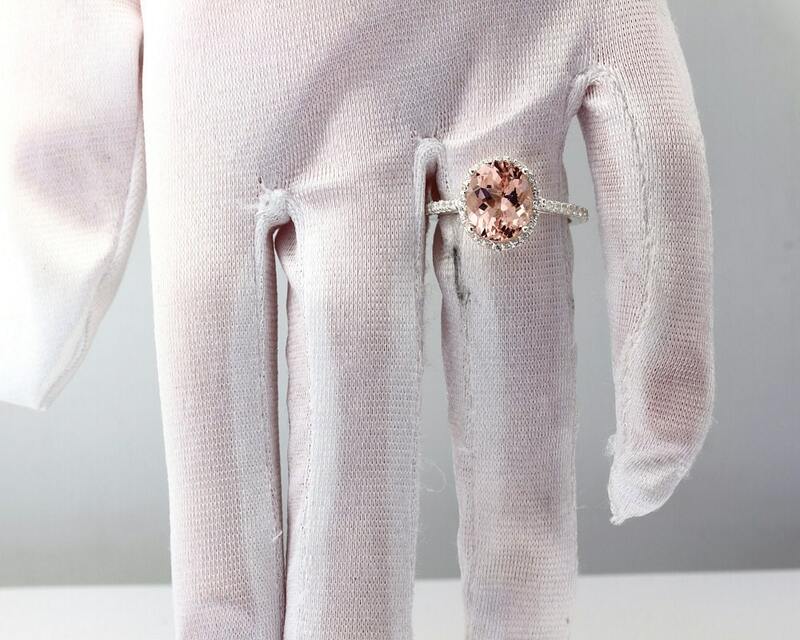 Lovely light pink morganite ring. Goes perfectly with my diamond bands ! 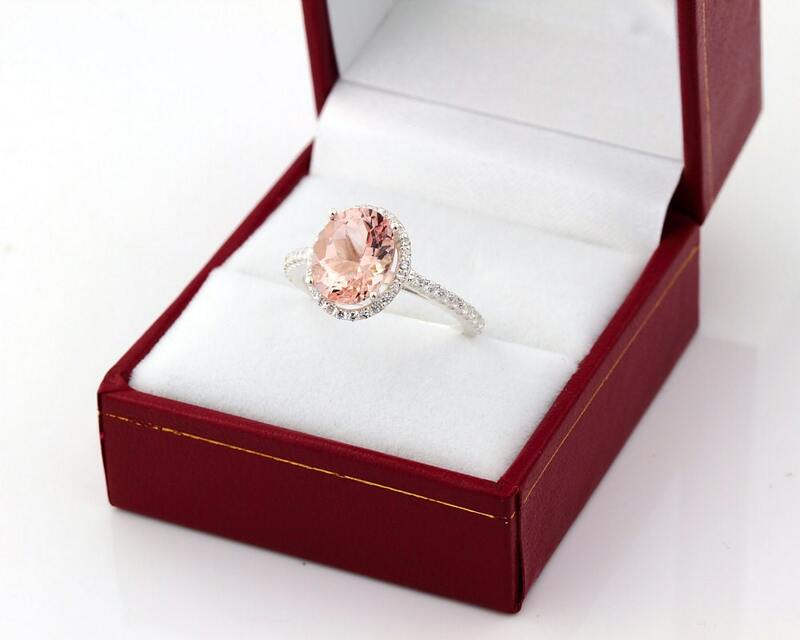 Lovely ring. Shipped on time.